Welcome to Midnight Cellars, home to the Hartenberger family and their small production of award-winning Paso Robles wines. Twenty eight acres of hilly, rocky, limestone-rich and south facing slopes are dedicated to growing quality, low-yield, sustainably farmed Bordeaux grapes. 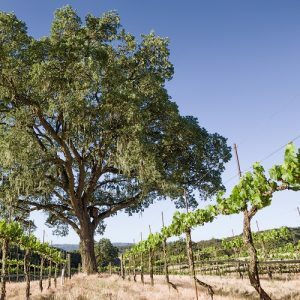 In addition to the Cabernet Sauvignon, Merlot, and Petit Verdot varietals, are Zinfandel and Chardonnay. Known for their monster Merlot, Midnight Cellars also makes some of the best “Paso Roblan blends.” As there are over 200 wineries in Paso Robles AVA, the Hartenberger family and their knowledgeable staff welcomes you to peruse the website, visit the tasting room, taste the wine and be a part of the Midnight Wine Club! The Hartenberger family began Midnight Cellars in May 1995. The idea had sprung from a family vacation to Northern California wine country. While sipping wine and overlooking a beautiful valley, the fateful comment was made: “Hey Dad, you should buy a winery when you retire, and we’ll run it for you!” Two years later, when Dad’s retirement became a reality, the winery idea resurfaced and became an actuality. The family members sold their Chicago homes and converged on Paso Robles where they started their dream. Mary Jane and Robert Hartenberger moved their family to Paso Robles, California in 1994, with the pursuit of growing grapes and making wine; the outcome, Midnight Cellars Winery. Their 160 acre ranch, on the western hills of Paso, is now home to three generations of Hartenberger’s. Include Midnight Cellars as a destination in your next Paso Robles adventure.